Hello! 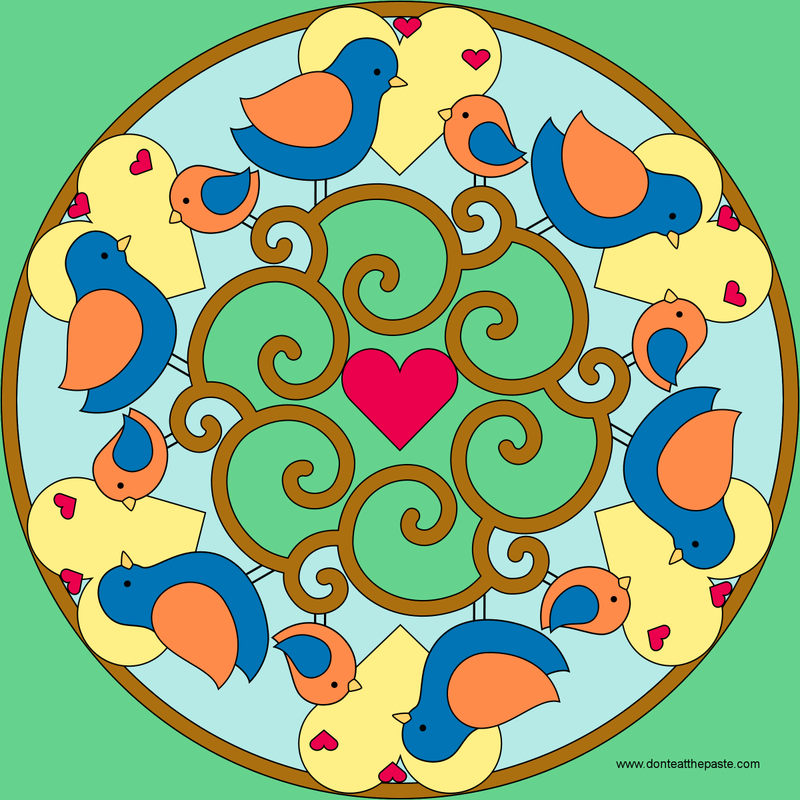 I hope you enjoy this mother and child bird mandala. It uses the same birds as this box. 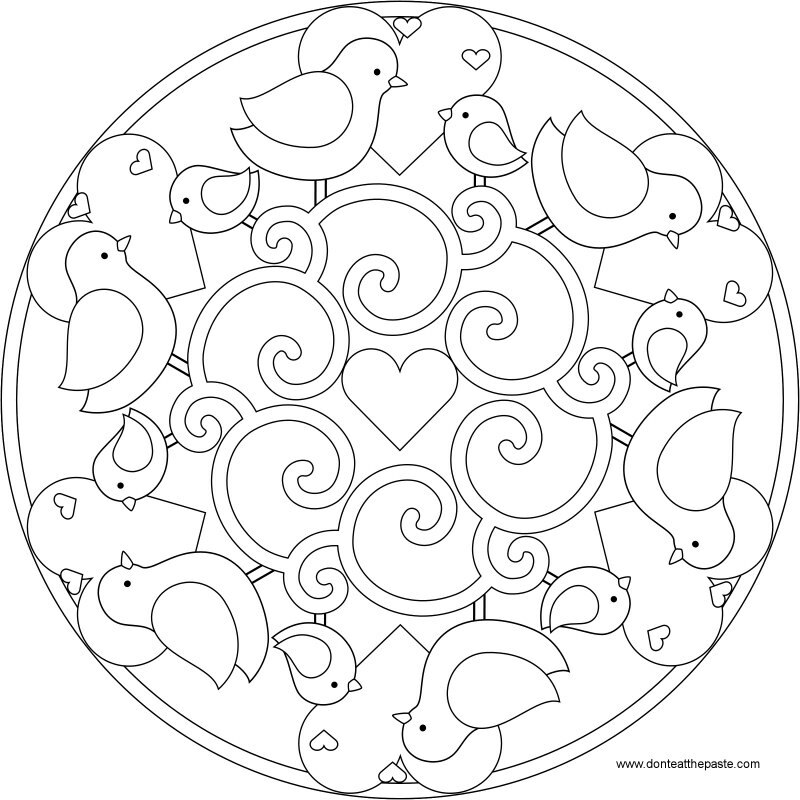 Click on the image for a larger version, print and color or use for crafty things like embroidery or pyrography. 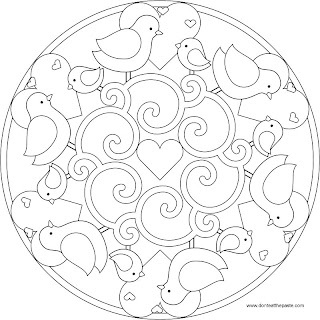 In other news, I made a video of some of the mandalas from this site and posted it on YouTube. It's set to music written by my friend Auriplane (who also created the Snailiad game), it was a lot of fun to make it it, just a simple slide show. I plan to make more videos, and some will be how to vids.